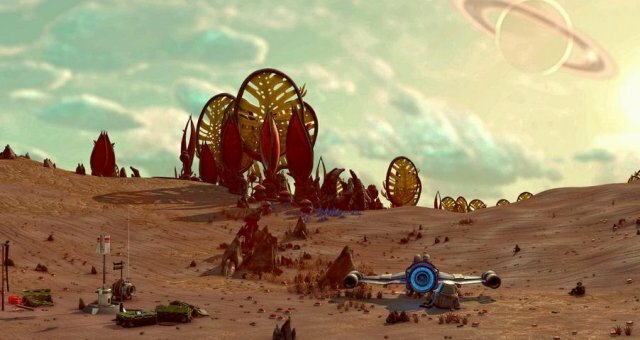 This guide will give you some help in improving performance in No Man's Sky, created with the Next Update, so it's up to date. It include graphic settings tweaks, and file editing tweaks (hidden options) and Nvidia/AMD Control Panel tweaks. Important Notes and Steps to Do Before Beginning! 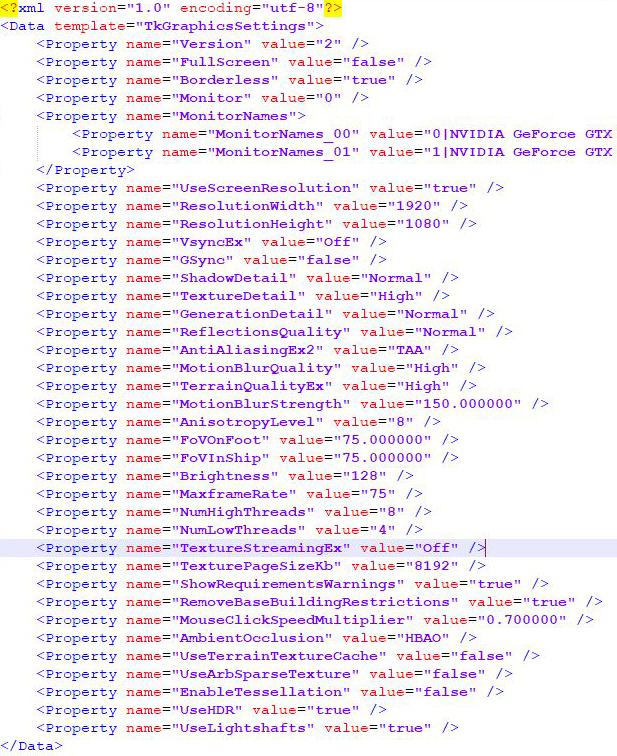 Before we begin, you'll need to find some information about your CPU and GPU that will be important in XML file tweaks for hidden options! For a setting, you'll need to know the amount of cores and threads of your CPU. For Intel, you can find it on Intel's "Ark" website. My i7 6700 for example has 4 cores and 8 threads. For a setting, you'll need to know the amount of VRAM(The Video-memory of the GPU) of your Graphics-Card. My GTX 1080 has 8GB VRAM. You'll need Kilobyte information of it. I'll help you with that, here are the converted information for VRAM. This is important for those who prefer to use VSync for a tear-free, smooth experience. You can easily find this information by searching for your Monitor on the internet or by going to Resolution Settings in Nvidia Control Panel. This will be short and fast, only a few tweaks needed here. The in-game VSync in the game causes significantly lowered performance for some reason, it has a bigger performance impact than Nvidia's control panel VSync setting, so turn it off in-game under Graphics settings. Now we get to the most important part, we'll do most tweaks outside of the game. Open Nvidia/AMD Control Panel(right click on your desktop) and go to 3D Settings(not sure what it is in AMD settings) and "Program Settings" and click on "Add". The control panel will freeze for a few seconds then a window should pop up with a lsit of your recently apps, games, programs. There, select No Man's Sky. Enable VSync, if you want to lock the frame-rate to your refresh rate to eliminate screen tearing and make the game smooth. This will overwrite the in-game setting and use Nvidia's own VSync, it is sometimes a better option than in-game option, like here. Set Prerendered-frames to 1, Whetever you use a controller or mouse+keyboard, set this to 1 to increase the smoothness and stability of frame rate. Turn Triple-Buffering ON, this will improve performance with VSync, and it will stop the game from locking to half of your refresh rate if a frame-rate drop happens. Set the MaxframeRate Value to your Refresh Rate IF you are using VSync. This will help with frame-rate stability. Set TexturePageSizeKb to the amount of VRAM you have(in Kilobytes!!) or lower. It is very important that you do NOT set it higher than your VRAM size! Setting it to the amount of VRAM you have or a lower amount(important if you have any other VRAM using programs running in the background) will help with textures and frame-rate stability. Set UseTerrainTextureCache to OFF, setting it to OFF helps some users with stability and increased frame-rate, for some users, it doesn't make a difference, and for some it may introduce stuttering. If you have any issues after turning it off, then set it back to AUTO.